The Reel Bad Podcast is a podcast about bad movies. It looks at the worst of the worst and wonders why they want to hurt us… sometimes. Every Monday, join Nick Jenkins and a rotating cast of friends as they break down some of the worst movies they’ve ever seen. 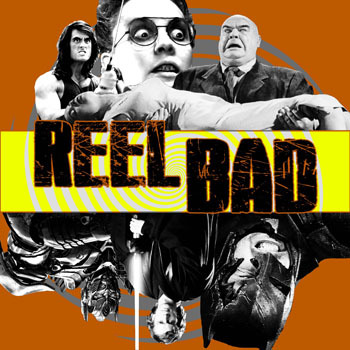 With insightful ways to fix these films, creative rating scales, and recommendations to leave you feeling “reel good,” Reel Bad is far more than just a podcast making fun of bad movies. He'll offer you the heights of ecstasy, but you'll spend eternity in the depths of hell. The Reel Bad Podcast – Get Ready for Highlander III: The Final Dimension!